A few years ago, I shared a resource on how to pronounce certain scotches. It basically had every single scotch I’d ever heard of, including some I hadn’t, and an audio file that helped you along with each term. As we know, the names of the distilleries are Gaelic and that is the origin of our pronunciation woes. In American English, we expect Glenfiddich to be pronounced “Glenfiddish” and not “Glenfiddihck.” By that same token, we’d then guess Bruichladdich to be Brooshladdick… it’s actually closer to Brookladdy. It’s the Gaelic pronunciation that messes us up and the fact that we just don’t have the class that the Scots seem to have when they’re sipping on scotch. 🙂 Fortunately we can lean on the classiness of one Brian Cox as he says the names to 40+ scotches. 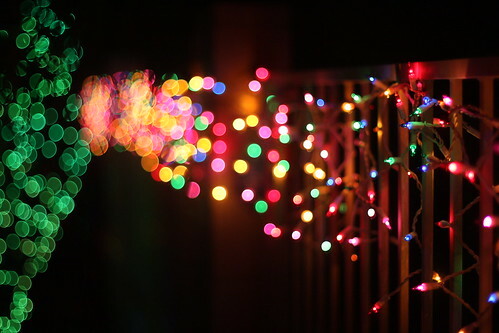 We want to wish you and yours a fun and restful holiday season and offer up a toast to a Happy New Year! Stay warm, safe, and we’ll see you all next year. Did you know that Bruichladdich, a famed distillery on Islay, made gin? My first favorite drink is whisky neat, usually a single malt but I’m hardly a Scotch snob, but my second is a gin & tonic. My favorite gin is, by far, Hendrick’s. I bought it once for a friend of mine who is a much larger gin & tonic aficionado, since it came in a really nice looking bottle, but upon trying it with him I fell in love. The cucumber is fantastic. 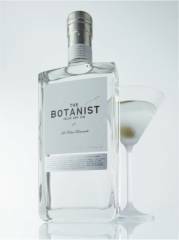 So, imagine my surprise when I saw that Bruichladdich makes a gin called The Botanist, a small batch artisanal Islay gin. … we use nine of the classic gin aromatics – orris root, cassia bark, coriander seed, etc – and augment these with a heady harvest of 22 wild, native island botanicals, hand-picked by our expert foraging team from the windswept hills, peat bogs and atlantic shores of this Hebridean island of Islay. I’ll have to keep an eye out for it and give it a whirl. 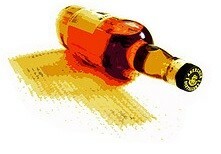 Mixing Johnnie Blue with some coke makes me want to cry. Four bottles of Chivas Royal Salute, a 21 year vintage worth about $180 a bottle, were used in a failed attempt to smuggle 25 pounds of heroin into the country. Wilfer Bohorquez Rojo was busted at Newark Liberty International Airport on New Year’s Eve trying to smuggle in twenty five pounds of heroin in a random bag search. Hopefully he got to enjoy a little of the Chivas Royal Salute… since he won’t be getting the opportunity to do so for a long long while.